Who qualifies as a #BOOK.NERD? I know I do. I don’t think it’s about how many books we have read in our lifetime, though that may say a lot. I think it matters what books you choose, and above all, how they make you feel. Some of my favorite books have been short and sweet, but chock full of emotional words that add kindle to the fire of my passion for the written word (pun oh so intended). What I love about reading is that it is versatile and can be done anywhere. Books do not even have to be functionally read — they can be listened to in audio form for those who may be blind or unable to hold a book or e-reader steady. I like to carry a book or my Kindle in my purse everywhere. Even if I just get a few pages in at a doctor’s waiting room, I feel content. When I was going through some hard times and on heavy doses of medication, I found it excruciatingly difficult to read even one or two pages at a time. I grew up loving my books, and can remember them along with what was going on in my life at the time. Watership Down was the 5th grade. 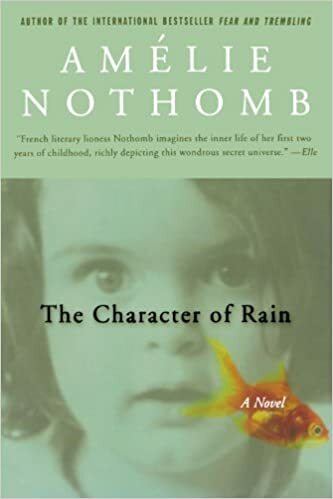 Amelie Nothomb books were read while I studied in Paris. Stellaluna will forever be my favorite children’s book. Don’t even get me started on the Harry Potter book series. Anyway, I thought I would share some of my favorite books and why I love the way they helped me at the time — and benefit my life moving forward. High school: Memoirs of a Geisha; Balzac and the Little Chinese Seamstress; The Joy Luck Club. I put these books together because looking back at the books that I gravitated towards in high school, there was a nice theme. I had a fascination with and excitement for eastern culture. 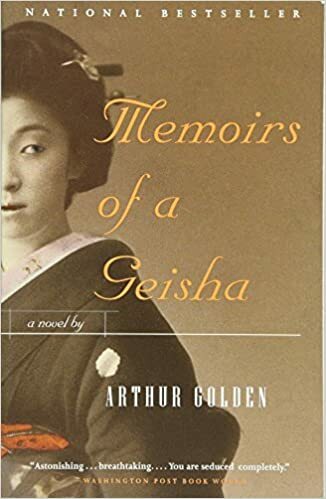 I loved reading Memoirs of a Geisha for the pictures painted with words of beauty and pain. I enjoyed Balzac and the Little Chinese Seamstress for the romance and history. And The Joy Luck Club for the family relations and emotional tension among the characters. College: The Character of Rain; A Moveable Feast; The Tipping Point; The Elegant Universe. These are some of my college choices, because they were the good kind of college choices, not the bad kind of college choices (haha). The first two represented my time in Paris reading about Hemingway’s walks around the Seine on an empty stomach in order to better appreciate the beauty of the city. I discovered Amelie Nothomb’s books at a bookstore walking along that very river. The second two represented my thirst for some non-fiction thinkers as well. Malcolm Gladwell satisfied my interest in psychology relating to economics. And Brian Greene expanded my warm-and-fuzzy feelings for physics. Mental health reading and beyond: A First Rate Madness; Touched with Fire; The Shining. These are mostly a few of the books I’ve read in the vein of mental health, with one curveball by Stephen King. A First Rate Madness had fascinating theories on great leaders who are suspected to have had mental illness, and how it shaped their policies and decisions. 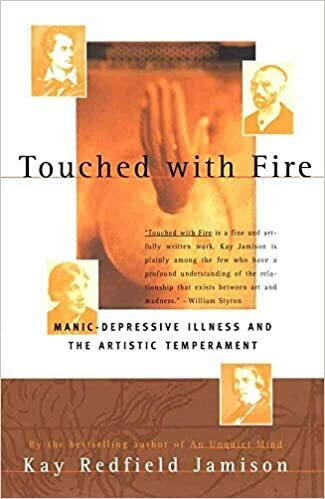 Touched with Fire is about famous artists, poets, and other creative-types also with suspected mood disorders, and how it may be correlated to creativity. The Shining was my Stephen King curveball — I’ve been on a Stephen King fix and just adore the suspenseful style (and intriguing, psychologically-thrilling undertones). Just to name a handful of some of the books that I still grow nostalgic for and the time and memories that they represent. What are some of your #BOOK.NERD favorites that bring you back to the time you read them?